A few years ago, the official website for the rural prefecture of Yamaguchi revealed a startling discovery that its shape bore a striking resemblance to the Australian continent. Digging a little deeper, they found that many of the features which make Australia great could also be found in Yamaguchi in more-or-less the same areas. 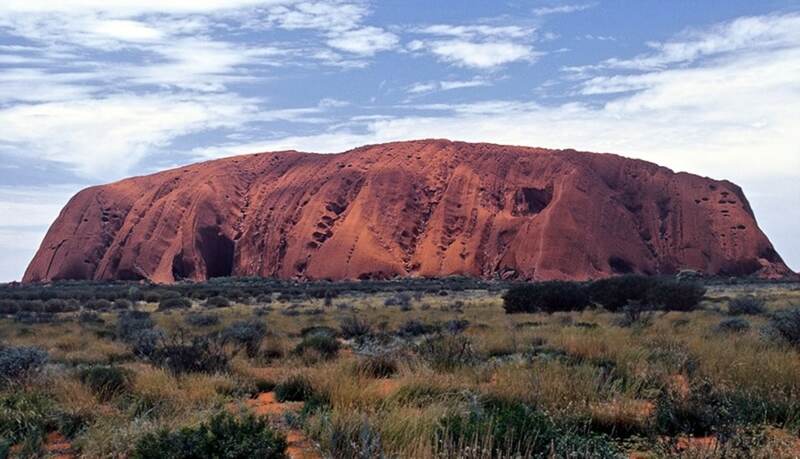 Uluru (for a time known as Ayers Rock) is the landmark sandstone formation in the center of Australia that's a sacred place for its aboriginal people. Part of the reverence comes from the bountiful waterholes and cave shelters than can be found in the area. Nowadays, it's a popular tourist attraction for its natural beauty and ancient art. And right near the center of Yamaguchi Prefecture are the unusual rock formations of the Akiyoshidai Plateau. This plateau consists of limestone forced up from below sea level by tectonic movement, and while it’s not rich in waterholes like Uluru, Akiyoshidai is a fountain of fossils and ancient artifacts for researchers. One of the more distinctive trees of the Australian landscape is the massive baobab. Also native to Madagascar and other parts of Africa, this tree can stand up to 20 meters (66 ft) tall and have a diameter of 10 meters (33 ft). It’s difficult to know the age of these trees because unlike others they have no rings to count, but experts estimate over a thousand years in some cases! Boababs can be found in the western part of Australia, and wouldn’t you know it? The western part of Yamaguchi Prefecture is home to the Kawatana no Kusu Forest. Although called a “forest,” it’s actually just a single camphor tree that’s over 1,000 years old, with a trunk that 11 meters (36 ft) in diameter and huge branches measuring up to 25 meters (82 ft) long.